Owner says SELL! 3 bedroom ranch with open floor plan in the Candlewood Hills neighborhood of New Fairfield. Huge eat-in kitchen, large deck and pretty corner lot. Room for storage in the walkout basement. Beautiful location near Candlewood Lake. Low taxes. Just move in! This is not a short sale! For more information on this property, please click here or call 845-279-7700 to schedule an appointment. The National Association of Realtors announced that home prices rose 12% compared to this time last year. This was the highest increase since 2006. The Federal Reserve reversed its previous announcement in June by stating it would continue its bond buying stimulus to help keep interest rates low for the near future. Why is this important? Rising home prices build confidence in the real estate market. This will draw new buyers into the market which will further help to sustain and improve the overall economy. For existing homeowners, they will likely see their equity continue to increase as home prices rise. Homeowners who have been unable to sell their homes because they had no equity or negative equity, will be able to enter the market. This will also result in fewer short sales going forward. Should consumers buy a house now since prices are rising again? Home prices are likely to continue to rise into next year. Additionally, the Federal Reserve will eventually stop the stimulus of purchasing bonds. When this occurs, rates will rise at a faster pace than we are used to seeing. The bottom line is, delaying a home purchase would likely result in not only paying more for a home but also paying a higher mortgage rate as well. For an extended and painful period of years the real estate market was very ill. It was once said in a poem that "there is no joy in Mudville". However that was some time ago and now all signs point "Go". those who buy now will avoid future flack. from the news that was announced last week on air. The real estate market is back, it is no longer ill.
And the people all rejoiced, in the little town of Mudville. Carey Lance Hollander is the Branch Manager at GFI Mortgage Bankers, and has been helping home buyers for 22 years. He can be reached at 914.424.5962. Halloween cleanup can be the scariest thing about the holiday. Here's a tip sheet on how to remove eggs, toilet paper, wax, and other messes that go bump in the night. When the fun is over, the cleanup begins. 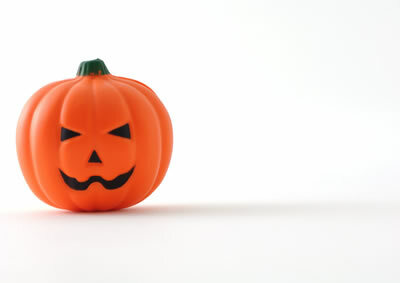 Here are some tips from the American Cleaning Institute and others on removing the Halloween mayhem that little tricksters leave behind. Time is your enemy when your house has been egged, because sunbaked yolks can stain your siding. Also, micro-shards of shell can become embedded in paint or act as an abrasive when you clean off the gunk. Instead of scrubbing, spray away the egg with your garden hose. But don't aim the hose full blast at the yolk, which will splatter the mess. Instead, Popular Mechanics magazine suggests first wetting the siding below the egg, then gently spraying the siding above the egg; the water will fall in sheets and flush away the mess. If you need more cleaning oomph, dip a brush into a bucket of warm water (never hot, which will bake on yolks) and dish soap, and then scrub away the mess. Wet toilet paper is a beast to remove from trees. So wait until the sun evaporates dew; or, if rain is predicted, start removal right away. Use a rake to grab and pull the TP down, a leaf blower to blast it, or a telescoping reacher/grabber to pluck it. Start at the top and work your way down. Immediately throw paper away: Leaving it on your lawn can smother grass. Never try to remove hot wax from carpeting. Not only can you burn yourself, but you'll likely spread the wax, making a bigger mess. When the wax has cooled, break it with a dull knife or Popsicle stick. Throw away the pieces. Cover remaining bits with a paper towel or rag, and press a warm iron to the area. Replace the towel frequently to avoid spreading the wax. Many commercial carpet and upholstery cleaners remove makeup from unwanted places. The only tricky part is applying these cleaners. Always test the cleaner on an inconspicuous spot. Apply a dab of cleaner on a white cloth, then hold it to the test area for about a minute. If no color is transferred to the white cloth, the cleaner is safe. Never rub cleaner on a stain. Rather, blot the stain starting from its outer edge and work to the center.